The school is situated in Taeak Village, Samrong Krom Commune, Banteay Meas Dsitrict, Kampot Province. This preschool started on 1st of October 2007. The first teacher was Sou Mom. 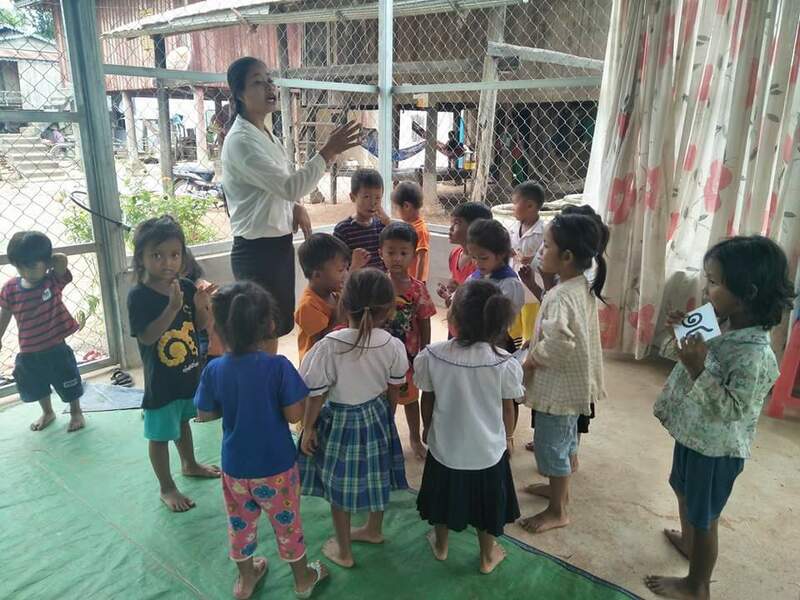 In January 2018, via introduction of Buddhist Library Cambodia Project Country Manager Mr. Kin Pheap, Jasmine and Club 500 granted fund to build the new preschool shelter. Statistic record since the school open in the school year 2006-2007 to 2017-2018: 209 students (130 girls). As of November 12, 2018, School Year 2018-2019, there is 20 students (11 girls). Prior to join CCAFO, Phally was a grade 11 high school student in 2011 and quit the education to work as food seller to earn income, and then joined CCAF. Phally joined the two weeks on the job training on village based preschool teacher. She has an agriculture basic skills including poultry. She is a farmer beside the preschool teacher.